After being announced earlier this year, the Animal Crossing: New Leaf amiibo update finally has a concrete release date: today. The new update has all the amiibo features teased earlier this year such as new villagers and furniture via both new and old Animal Crossing amiibo cards and figures. You can also import other game series’ characters as cosplaying villagers, with both Splatoon and Zelda series amiibo creating various new pals of all shapes and sizes. 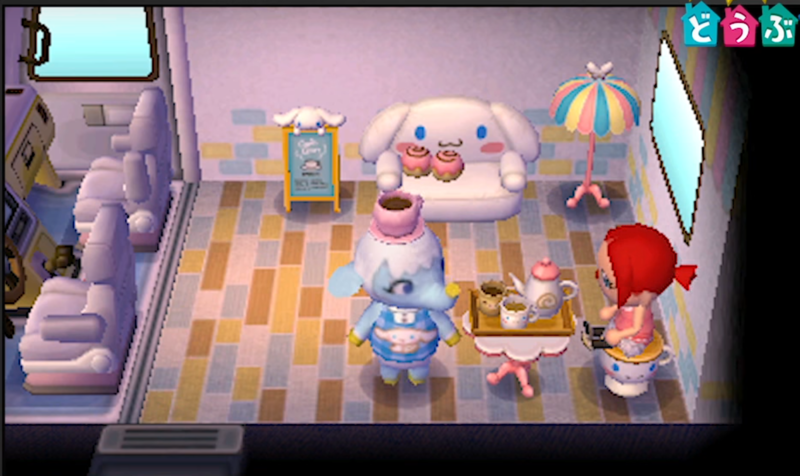 All of these new villagers and furniture items can be found in-game after being scanned in either through the New 3DS’s oft-neglected bottom screen reader, or through a purchasable NFC add-on. After you scan whatever you have in, you’ll be able to talk to the old and previously absent Animal Crossing character Wisp, who can grant you a single wish a day (as long as you keep scanning those amiibo). 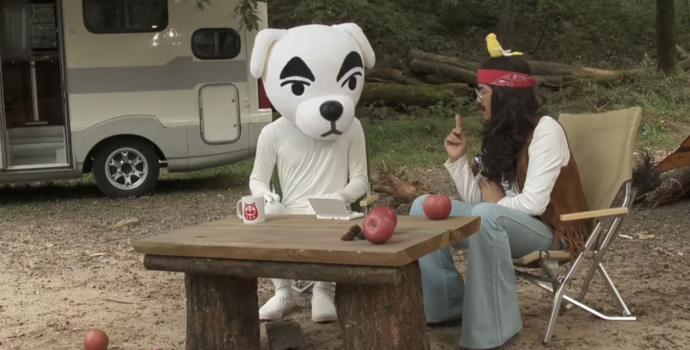 All that is nice but the real action happens at the new campground area run by a dog named Harvey, the most relaxing dude the series has seen since Pascal. Harvey will introduce all of those new-fangled amiibo features, as well as the new Mutual Exchange of Wealth (or MEOW) system. MEOW will let you get a new type of currency, coupons, from helping out villagers and performing new almost side-questy type objectives. The coupons can be exchanged at the campground for new and rare furniture that changes each day, and based on what was shown in the direct, it’s not too pricey at all. There are a couple odds and ends, like new in-game Wii U and 3DS consoles that let you play two different minigames: Desert Island Escape, which is pulled right out of the poorly received Amiibo Festival, and Puzzle League, which is really just Pokémon Puzzle League with Isabelle instead of Charizard. You can also import your save data from Happy Home Designer, which lets you purchase a bunch of comically large furniture like giant teddy bears or chairs. Now if you’re like me, you might love Animal Crossing a lot, but not enough to check in everyday. You might’ve inadvertently left your town to fend for itself in a cruel world full of environmentally unfriendly neighbors and that cruel mistress of time. 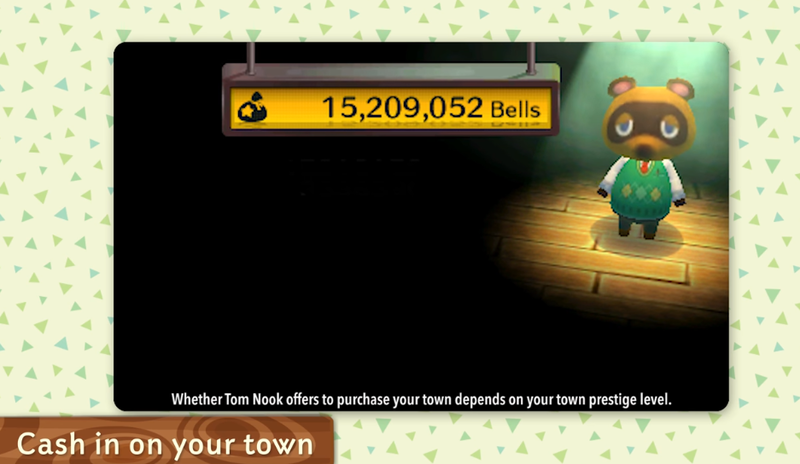 With this new update you can now pawn off your hellscape of a town to Tom Nook, who will happily take your poor neglected animals and…do something with them in return for millions of bells. This is a great way of getting people to actually consider coming back, since they can start a new town without really having to start completely over from scratch. This update is interesting to see, it’s not often a console game is updated so long after its prime, even rarer to see for a Nintendo title. While I might not be chomping at the bit to go back and play the older New Leaf, I think there’s a lot in this update to at least encourage people who were looking for reasons to get back in.